Is this the death knell for the taxi industry in Boston? Uber has now established a beachhead in the last major territory held by taxi drivers, striking a deal with the Massachusetts Port Authority to allow its popular UberX service to pick up passengers at Logan Airport beginning Wednesday. Along with an earlier agreement that allowed Lyft service at Logan, the Uber deal means taxis risk losing the large airport fares that have kept many afloat. When earlier efforts to halt advances by ride-hailing services failed one by one, Boston cabbies would always insist there was still a tomorrow, still another battle that could be won. Not anymore. They seem resigned to defeat, or at least to a vastly altered battlefield. The Massport decisions, coupled with one by a federal judge in January to dismiss a last-ditch lawsuit challenging the state’s new ride-hailing law, have effectively broken the back of the city’s cab business, numerous drivers and medallion owners said, turning their fighting spirit into abject despair. The low-cost UberX service will be allowed to pick up passengers there beginning Wednesday. Overhearing the conversation, dozens of agitated drivers crowded around Nabile to shout their agreement. “It’s over! This business is going straight down,” one man called out, spiking his cigarette to the ground in disgust before storming off. The struggle by the taxi business to compete with Uber and similar companies is nothing new. But most of those remaining in the industry are convinced that a steady decline — fare revenue in Boston dropped 40 percent in the four years ending last September — is about to give way to free fall. Over the weekend, taxi drivers in New York scored a modest public-relations victory over Uber, after a tweet by the ride-hailing company was seen as encouraging its drivers to break a temporary strike called by cabbies to protest President Trump’s executive order on immigration. Despite the ensuing #DeleteUber trend on social media, however, it will take more than symbolic blows to revive the cab business. Boston cabdrivers said fares from the airport, where ride-hailing services have previously been unable to pick up passengers in a vehicle without a livery plate, were essentially their last reliable source of income. And even those jobs require waiting for two or three hours in the taxi pool, where lines have only grown longer as business at other spots such as South Station dwindled. Now, with Uber and Lyft pickups at the airport beginning Feb. 1, cabbies believe the taxi industry will cease to be financially viable. Expenses for cab owners — including insurance, fuel, maintenance, and payments on medallion loans — can run $3,000 to $6,000 a month. Other drivers don’t own medallions but lease time in someone else’s cab, a pay-to-work system that can cost them $450 a week or more, plus gas. Both camps said the numbers just won’t add up after taxis lose exclusive domain over Logan. It’s also unclear whether city-issued taxi medallions are worth much more than the metal they’re made of. As recently as 2014, the badges were seen as nest eggs and routinely brought $700,000 each. Some operators borrowed heavily or even mortgaged their homes to buy them. But last November, a medallion sold for just $107,000, according to the Boston Police Department Hackney Carriage Unit. Several cab owners said they received no offers at all when they attempted to sell medallions in recent months. Boston medallion owners want a bailout from the city or the state, accusing officials of failing to protect the system they bought into in good faith — and often at great expense — from competition they claim is illegal. They decried Uber’s aggressive expansion and lobbying tactics, saying the company brazenly broke the law but bought its way out of trouble with political donations. “If state or city doesn’t come up with a way to help owners recover, we’re going to go bankrupt and lose our homes, our families, everything we worked hard for. We can’t afford to pay these mortgages,” cab owner Abe Habbach fumed. Donna Blythe-Shaw, a labor advocate for taxi workers, called on the city and state to provide relief for those drivers who own a single medallion. She noted that the Taxi Advisory Committee, set up by the City of Boston to help the industry adapt, hasn’t met since 2015. And she said city officials have ignored her repeated calls to hold a public hearing about how to replace the imploding medallion system, perhaps with a “taxi co-op” in which drivers share vehicles and operate under looser regulations. While a medallion once gave a driver jurisdictional rights within the city, Blythe-Shaw said, it is meaningless now that Uber drivers can access the same areas and cross municipal borders at will. Hope for legal or regulatory relief for the taxi drivers remains dim, however. The courts haven’t been much help, either. Last week, US District Judge Nathaniel M. Gorton dismissed two federal lawsuits brought by taxi companies, one aimed at overturning the state’s ride-hailing law and another challenging Cambridge’s regulation of ride-hailing companies. Gorton also threw out a similar lawsuit against Boston in December. 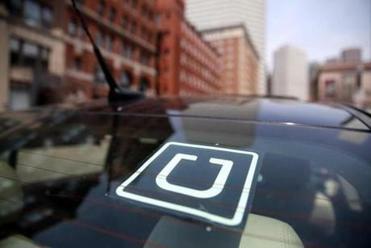 He will hear at least one more challenge from the industry, a suit filed by Massachusetts cab and limo owners accusing Uber of monopolizing the transportation market with predatory pricing. Challenges by cabbies in other states have also gone nowhere, with federal cases in Chicago and New Jersey getting tossed, too. Analysts said the US taxi industry has effectively exhausted its legal options. Adam Vaccaro of the Globe staff contributed to this report. Dan Adams can be reached at daniel.adams@globe.com.